Good morning Packer Fans - Arman Titletown Talk's ninth podcast is here to continue our coverage of the Green Bay Packers. In this episode, Adam, Shane and Mitch preview the Packers upcoming matchup with the undefeated (7-0) Los Angeles Rams including score predictions, discuss Ted Thompson's failed drafts over the last three years and best bets for week eight in the NFL. Give us a listen, share and comment with thoughts of your own and thanks for listening! Arman's Titletown Podcast (episode nine) embedded into the post below. Good morning Packer Fans - Arman Titletown Talk's eighth podcast is here to continue our coverage of the Green Bay Packers. In this episode, Adam, Shane and Mitch recap the Packers comeback win against the 49ers, discuss first quarter season offensive and defensive most/least valuable players and offer up our "bet of the week" across the NFL, who we recommend you put your money on against the spread. Give us a listen, share and comment with thoughts of your own and thanks for listening! Arman's Titletown Podcast (episode eight) embedded into the post below. Folks, there is still life for Packer fans. For now. The Green Bay Packers postseason hopes are just barely alive. Green Bays postseason chances rely on whether or not Brett Hundley and company can win the remainder of the games leading up to a possible return from former Super Bowl MVP Aaron Rodgers. However it will take some luck from the rest of the league to solidify a possible Wild Card spot. With the way the schedule sets up, Green Bay (6-6) still has the opportunity to get to ten wins at the end of the season with four games remaining in the regular season. 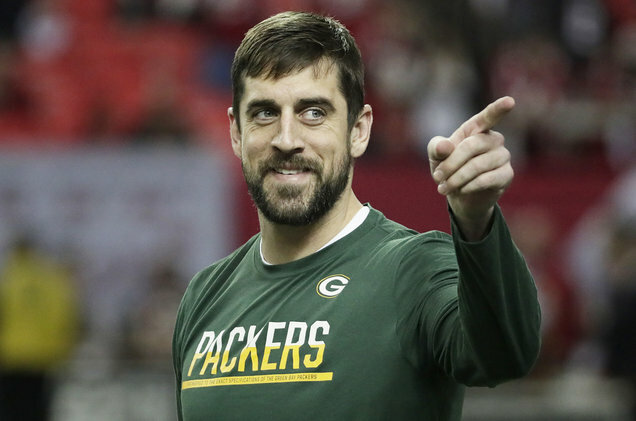 The Packers will still need a tremendous amount of help from the rest of the NFC. Can Brett Hundley+Aaron Rodgers Execute Run the Table II? The Atlanta Falcons are still on the outside of the playoff picture with a 8-5 record. Green Bay is joined by 2 other teams with the same record in the Detroit Lions (6-6) and the Dallas Cowboys (6-6). 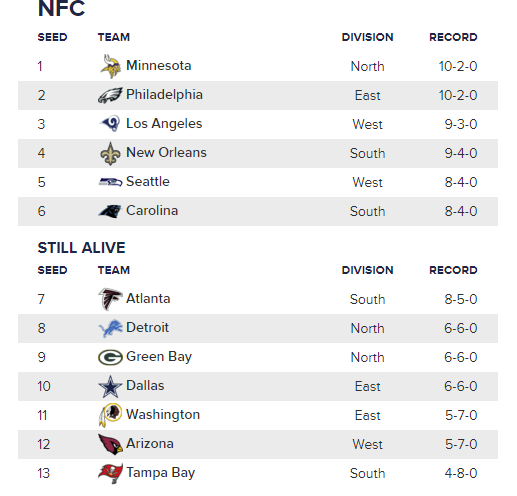 Currently the Seattle Seahawks and Carolina Panthers own the rights to the Wild Card spots. However with the way the schedules look for the remainder of the season, there’s a path to a Wild Card spot for the Packers. 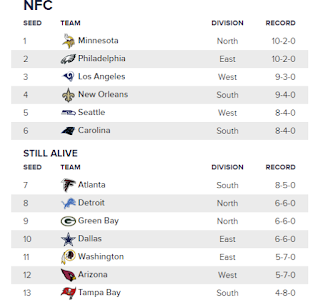 Bear with me, but let’s try to organize the chaos that is the NFC playoff picture. Carolina Panthers (8-4): Of the teams fighting for a wild card spot, the Packers will see the Carolina Panthers in week 15. Theoretically speaking, if the Packers win the remainder of their games and Carolina does the same, this still gives the Panthers only 5 losses and the edge over Green Bay. However, if Carolina can lose just one more game aside from a loss in week 15, the Packers have the upper hand via the potential tie-breaking win over the Panthers. Besides Green Bay, Carolina has to play the current number one seed Minnesota Vikings and the defending NFC champion Atlanta Falcons. If you’re looking for hope, Carolina needs to lose at least one of these games. Atlanta Falcons (8-5): The Falcons are a big road block in the Packers postseason plans. With Green Bay losing to the Falcons early in week 2, this gives the Falcons the tiebreaker over the Packers. This means the Falcons need to lose 2 games in the remaining weeks to move to 7 losses. On the bright side, the Falcons play the Saints once more. Atlanta also has to play against Carolina. Green Bay needs the Falcons to lose twice more this season for them to set themselves apart from Atlanta. Seattle Seahawks (8-4): Seattle appears to be in prime position to make the playoffs. The Seahawks remaining schedule includes: at Jacksonville (8-4), vs. Los Angeles Rams (9-3), at Dallas (6-6) and at home against Arizona (5-7). I could see the Seahawks potentially dropping two games here. The Jacksonville Jaguars present an interesting matchup with their fierce pass rush and outside cover skills. The Jaguars did have an impressive 30-9 win over the Steelers this year in Pittsburgh. 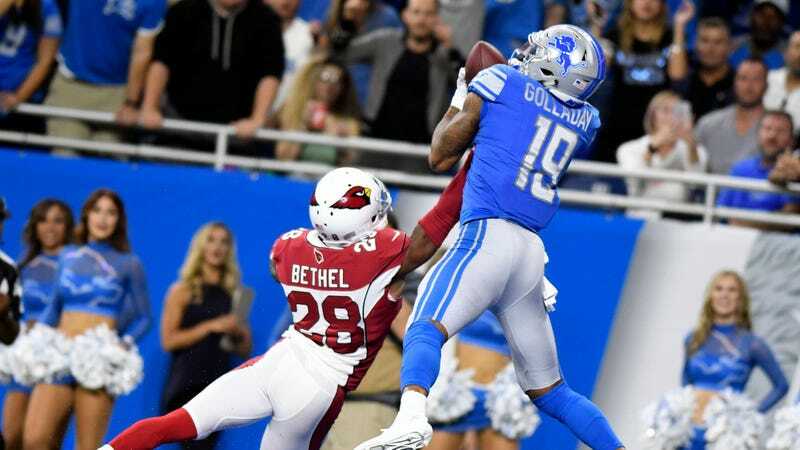 With the Detroit Lions having the same record as the Packers, they don’t present as much of a challenge. It’s quite simple, if Green Bay wins their remaining games they would have one more win than the Lions as the two will face off in Week 17. It’s a long shot, but with Aaron Rodgers showing great signs of a potential comeback for week 15 against Carolina, it’s definitely acceptable to think about a potential Run the Table part II. Packer fans can look back at Green Bay’s 2010 Super Bowl winning season to help motivate them into cheering on a team that has won just 2 of the past 7 games since Rodgers went down. Let's hope the Rodgers X-ray after the Cleveland game shows a healed collarbone and that other NFC contenders stumble down the stretch. Good evening Packer Fans - Arman Titletown Talk's seventh podcast is here to continue our coverage of the Green Bay Packers. In this episode, Adam, Shane and Mitch recap the Packers tough loss to the New Orleans Saints, Brett Hundley's first career start and what to expect from the Aaron-Rodgers-Less Green Bay Packers. Give us a listen, share and comment with thoughts of your own and thanks for listening! Arman's Titletown Podcast (episode seven) embedded into the post below.